With the help of our sophisticated in-house facilities, we have been able to offer an array of Heat Exchanger. The qualitative products offered by us are extensively used for transferring heat from one medium to another. Owing to various feature like hassle-free performance, long life and low maintenance, these heat exchangers are widely used in power, engineering and automotive industries. Effective in recovering heat, our range is highly appreciated by the clients. 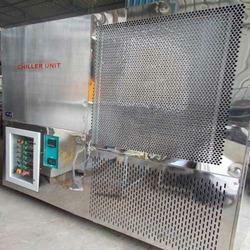 Looking for Chiller Unit ?